Disparities and weaknesses in import controls in key member states of the European Union mean illegally caught fish can still slip through the net and into EU supply chains, according to an analysis published today by the Environmental Justice Foundation, Oceana, The Pew Charitable Trusts and WWF. The analysis provides a comprehensive evaluation of countries' progress in implementing import controls under the EU Regulation to combat illegal, unreported and unregulated (IUU) fishing, which came into force in 2010. This is the first published analysis of data reported by member states to the European Commission for the most recent two-year reporting period, 2014 to 2015. 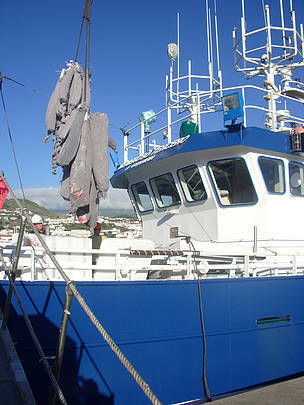 It reveals significant problems with the way a number of EU member states are executing controls of fish consignments. For example, authorities in some major importing countries still fail to apply robust checks even where consignments come from countries that have been warned by the EU for having inadequate measures in place to prevent and deter illegal fishing. In some cases, the procedures implemented by EU countries appear insufficient to comply with the minimum control obligations laid down in EU legislation. The study calls for more harmonised and rigorous procedures, as well as the digitisation of catch certificate information within the EU by the end of 2017, to ensure unscrupulous operators do not attempt to move their catch through ports where weaker controls are in place. Imports entering the EU in shipping containers are identified as particularly challenging for enforcement authorities, with procedures for these not harmonised to a sufficiently rigorous standard to date. The import controls are a cornerstone of the European Union’s 2010 Regulation to combat IUU fishing, which is seen as a world-leading piece of legislation in the global fight against illegal fishing. The analysis reinforces the findings of a recent case study published by the four NGOs revealing that the fraudulent use of paper catch certificates and lack of an EU-wide system for cross-checking import documents means illegal catch is still getting through. The WWF European Policy Office Head of Marine Policy, Dr. Samantha Burgess said: “The EU IUU Regulation is a powerful tool in the global fight against illegal fishing. But the paper-based catch certificates, and inconsistency in implementing the required import controls is leaving the system open to abuse. We call on the European Commission, and the active support of member states, to urgently deliver the EU-wide database of catch certificates that should have already been in place by end 2016. The database must incorporate a robust risk analysis tool”. Tony Long, Director of Pew’s Ending Illegal Fishing project said, “The disparities in import procedures undermine the catch certification scheme and the high standards achieved by some member states. Improvements are needed if the EU, as a market state, is going to be free from IUU products”. 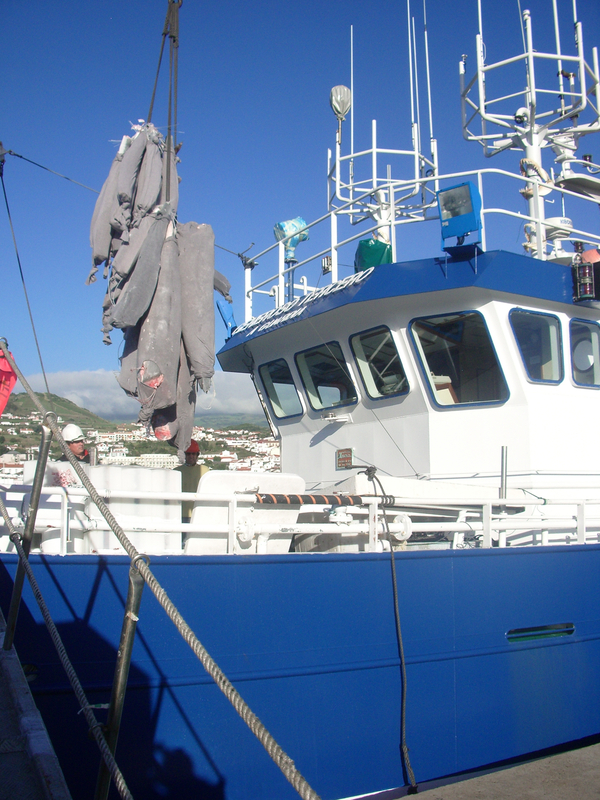 Oceana’s Fisheries Director Maria José Cornax said, “This report shows that further guidance and standardisation of import procedures is needed. It also highlights the poor standard of reporting by member states on their implementation, with a key gap being the failure to require them to reveal a breakdown of CC data by flag State of origin – making it very difficult to assess levels of IUU fishing risk”. Steve Trent, Executive Director of the Environmental Justice Foundation added, “This study is a wake up call to member states to step up efforts to implement the IUU Regulation to its full extent, and to the Commission to ensure they do so. In particular, we urge member states to increase capacity, and apply standardised, thorough procedures to make sure illegal consignments are refused entry to the EU market”. The analysis is based on information contained in biennial reports submitted by the 28 EU member states on implementation of key obligations under the EU IUU Regulation for the period 2010-2015, which were obtained via access to information requests to the European Commission. A Note on Risk Assessment: The EU IUU Regulation establishes a catch certificate (CC) scheme to assist member states in detecting and blocking illegally-sourced products at their borders, as well as risk assessment procedures to help identify which consignments to select for special scrutiny. As most major EU importing countries import hundreds of thousands of tonnes of fisheries products per year, and process tens of thousands of CCs, it is not possible for authorities to verify the legal origin of each and every consignment received. Member states are therefore required to focus enforcement resources on products most at risk of being derived from IUU fishing. The Regulation provides the basis for rigorous and harmonised risk assessment procedures with which to do this. Significant differences in the frequency and rigour of checks and verifications of CCs, and in the quality of risk assessment procedures for identifying high-risk consignments. Evidence that inconsistent import controls may be resulting in the diversion of high-risk trade flows to member states applying less stringent procedures. Wide variations in procedures for checking containerised seafood consignments, which make up approximately 90 percent of all EU fisheries imports by volume. Only five member states report details on the number or proportion of container consignments/CCs subject to physical inspection. Container imports require the implementation of robust risk assessment and control procedures to deal with the complexity and scale of trade. Illegal fishing is a complex and pervasive threat to fish stocks worldwide and the communities that depend on them. Between 11 and 26 million tonnes of fish are caught illegally each year globally, resulting in annual losses of between $10 and $23.5 billion. Estimates suggest that global IUU catches correspond to between 13 percent and 31 percent of reported fisheries production. In some regions, this figure can be as high as 40 percent. The EU is the world’s largest importer of seafood products, buying in 60 percent of the fish it consumes. EU member states together imported more than 3.5 million tonnes of seafood from around the world in 2015. More than 250,000 catch certificates (CCs) are received annually across the EU, mostly in paper format.